While automated driving systems hold great promise to save lives and reduce crashes, the focus must remain on validating the safety of the technology every step of the way, according to the National Association of Mutual Insurance Companies (NAMIC). Fundamental regulatory changes will need to take place to adapt to a world with driverless cars and automated driving systems (ADS), NAMIC says in a new white paper. Titled “Validating Safety: The Next Phase in Developing Automated Driving Systems,”the white paper explores the next phase of ADS development, the regulatory landscape and insurers’ role insurers in this technology’s development. Without a strong regulatory environment, there is an increasing risk that the public trust both in ADS and the government institutions that approve and regulate them may erode, according to the report. “As technology seeks to remove human error from driving, our industry is working to ensure that the systems that will control our vehicles will live up to the promises the manufacturers make,” Karol says. NAMIC says that to keep safety in focus, automated vehicle manufacturers and services must provide third parties with complete and accurate data from tests and when crashes occur in order for insurers to do their part. Current state and federal laws rely largely on voluntary information sharing but to date information about ADS development in general and safety specifically has been limited. NAMIC argues for “defined, transparent data standards” that it says will foster better understanding of automated vehicles and their operation. 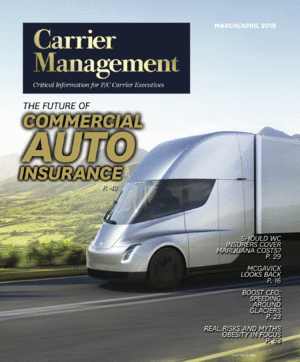 “Basic ADS design decisions such as whether to utilize vehicle-to-vehicle communication systems or to include an ’emergency stop control’ remain subject to internal corporate debate, technical questions, and related business considerations,” NAMIC notes, adding that insurers understand confidential information and have deep experience in data security. NAMIC questions whether the current system of “voluntary self-certification by manufacturers of the safety of ADS” is adequate to enable the development and public acceptance of safe ADS. “Only by providing access to more and better data for independent testing and analysis can manufacturers help prove their cars are just as safe, if not safer, for their occupants than non-automated vehicles on the road today,” the organization says.